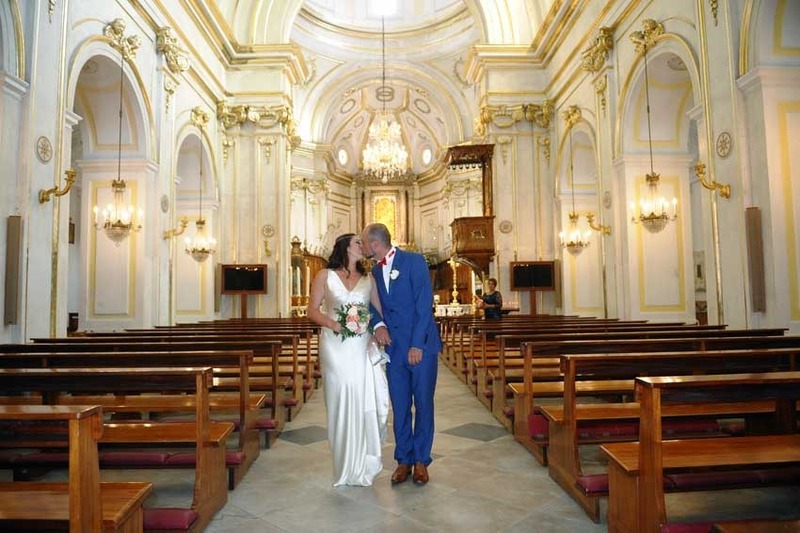 Are you considering a catholic wedding in Positano? What a wonderful and unique marriage destination! A religious wedding in Positano is certainly an exciting experience for a couple planning a wedding in Italy! 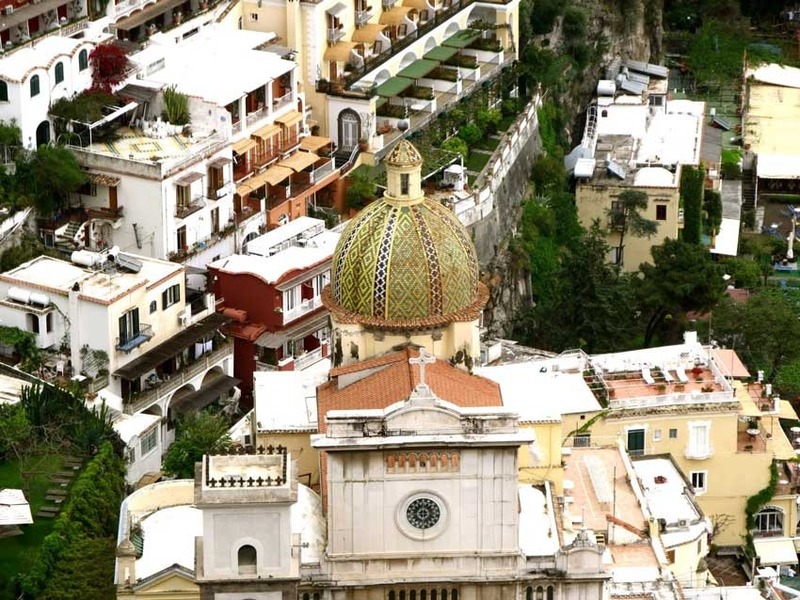 This magnificent church is located in the very heart of Positano, only few meters walking distance from the beach. To reach the church from the upper side of town you must walk through a very romantic street covered with arches of fuchsia bougainvilleas in bloom. The Collegiata of Santa Maria Assunta dates back to the thirteenth century. Formerly of a single nave with a prestigious floor decorated with Byzantine mosaics. On the main altar you can admire the beautiful icon of the Black Virgin with child. The legend tells that this icon arrived to Positano from the sea. 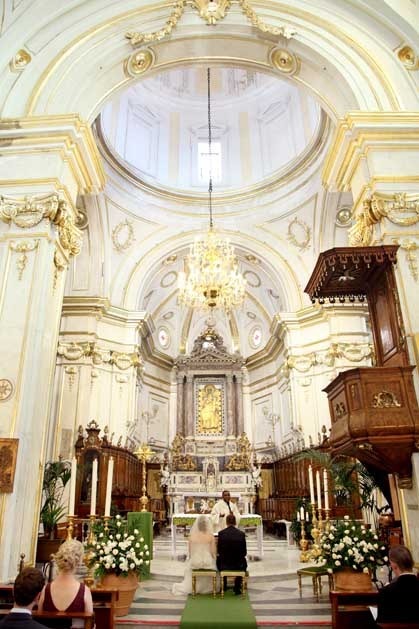 The interior of this church is in baroque style with delicate marble and golden décors. This church is full of light thanks to the bright pastel colors of the central nave. We recommend this church if you have a fairly large number of guests. The inside can host up to 120 guests. Many couples from all over the world get married in Positano with a catholic marriage rite. The ceremony is performed by an English-speaking priest resident in town. Only catholic weddings are allowed inside this church. Organist and soprano available. It is possible to decorate the altar and major altar only. It is not permitted to decorate pews. 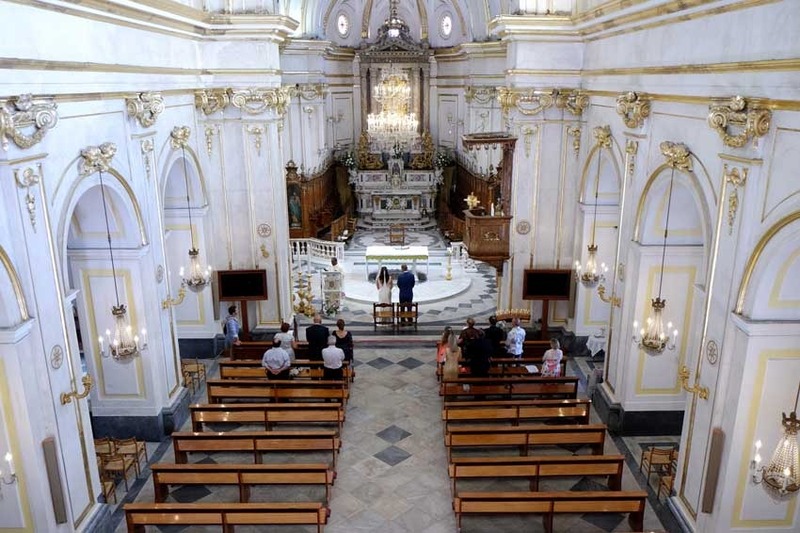 Get married in the catholic church of Positano from April until October. No weddings are allowed during Easter or local festivities. 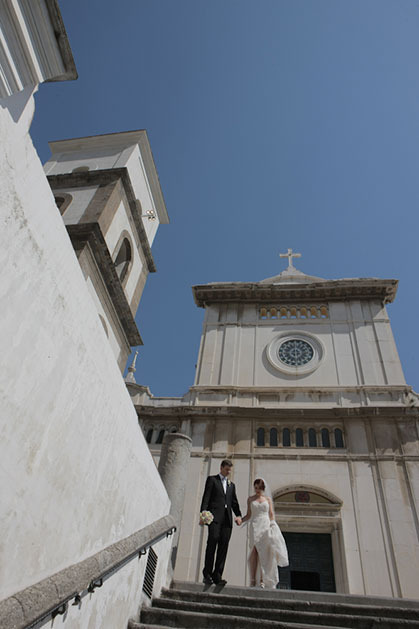 For further information on how to plan a catholic wedding in Positano, contact our planners.